Attraction Marketing is gaining more and more popularity among Network Marketers and people buildig a home business online. It is a drastic change from the ‘old school' methods of hunting down prospects at the local mall and gas stations in order to share your opportunity. Most MLM companies do not teach their distributors attraction marketing techniques and branding, and instead, teach them to only brand the MLM company and the products. You can try to build your business using ‘old school' methods of prospecting, but in the long run, Attraction Marketing is more beneficial to the long term growth of your business. Afterall, who the heck wants to be trolling the supermarkets and local drug stores 10 years from now in search of their next “sharp” couple? I know I don't!! 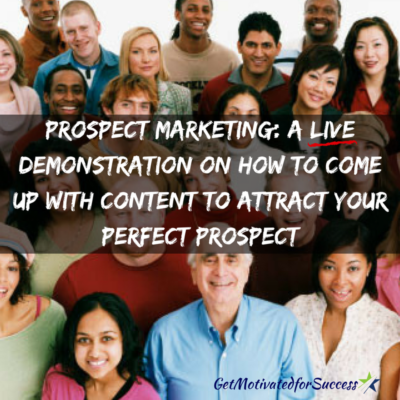 I stumbled upon Attraction Marketing one evening when I got home from a night of prospecting around town and told my wife that there had to be a better way to build our Network Marketing business! When I searched Google for how to find prospects interested in Network Marketing, I was introduced to Attraction Marketing. At first I didn't think that this type of online marketing would work because I thought I was looking for people who had never been involved in Network Marketig or MLM before. I wanted to type of prospect who was fresh and hungry to build a home business. When I looked more into the Attraction Marketing system that I use today, it just made sense! Produce valuable content that answered the questions or solved the problems that people in my niche (Network Marketing) wanted through various Social Media marketing methods. 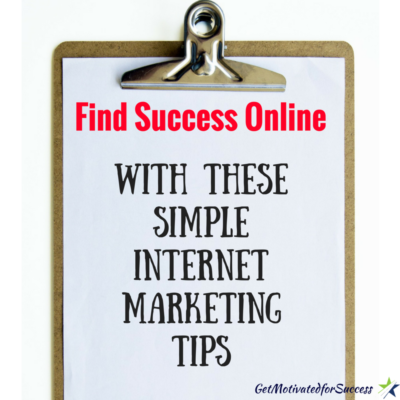 You see, the biggest struggles for Network Marketers is how to generate leads for their business online, prospect, sponsor reps, and make more money! Most of these things are not being taught MLM companies or upline. In the video below, I give you the Attraction Marketing definition as well as explain how it can be used to help you to grow your MLM or Network Marketing compnay. I also give you a simple analogy of how some leading companies today are using Attraction Marketing to gain more exposure and sales. Attraction Marketing is the new way to build a successful online business! Keep in mind, it can take a bit longer than prospecting to see results, but if you stick to it and stay consistent, you will see much more growth and results than prospecting alone will bring. Find out more about Attraction Marketing now– Fill in your information below and let's get started! 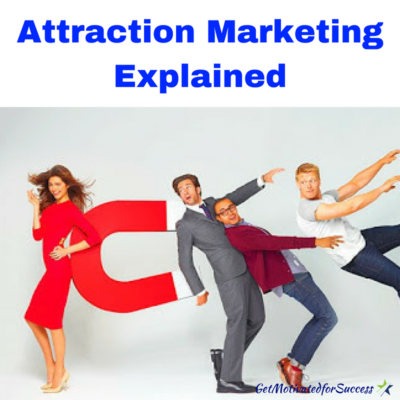 If you got value from this post, Attraction Marketing Explained, comment and share! 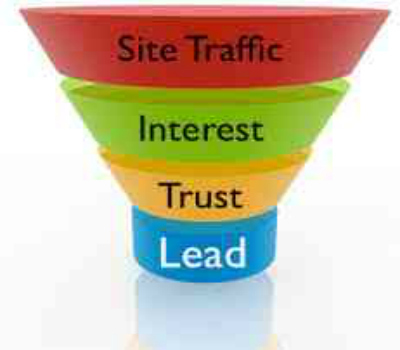 If you are building your Network Marketing business online, it is critical that you use a Sales Funnel. There are multiple reasons why a sales funnel is essential for the growth and expansion of your business. A sales funnel is the a streamlined way to take a prospect from not knowing who you are all the way to developing a friendship and potential business partner. If you don't have a sale funnel in place, you should not be trying to market your business online because you will miss out on all of the opportunities to get prospects, and more importantly, develop a relationship with them. The ultimate goal is to have them join your business team, right?! Here are a few reasons why you should develop a sales funnel and how it works. In the video below, I explain how to set up a sales funnel and how you can use it on a daily basis. So how does a sales funnel work and why should you have one? The first part of a sales funnel is to provide some kind of value with an opt in. This is known as a “capture page.” For example, you may have some information on how to generate leads online. You would share this information on different Social Media outlets promoting the free value based content. In order for a prospect to watch or read the information, they have to provide a name and an e-mail/phone number in exchange for the valuable information. It is an exchange of value information with contact information. Once you obtain the prospect's information, it should go on to an Autoresponder such as MailChimp, AWeber, or any other service. The great thing about an Autoresponder is that the information the prospect enters will automatically go onto a designated list that you create for future contact. By entering their information, the prospect then gets the great information that they are looking for! When a prospect goes on your created email list, this is called “building your list.” Your list is crucial because it gives you the ability to share more content with the prospect and also develop a relationship with them. You should continue to build your email list by providing content to the marketplace. I recommend to share good, quality content with this list at least two times per week. When prospects on your list see your info, name, and face, they will begin to get to know and trust you which is what you are trying to accomplish. Remember, your prospect asked you to contact them or else they would not have provided their information in the first place. They are seeking knowledge and expertise that you are able to provide to them! Once the prospects on your email list begin to know and trust you more, they will be more willing to purchase products from you, join your business opportunity, or be interested in any other offer that you provide. They like you! In this video, I explain how you can use the sales funnel on a daily basis and get the best results. Feel free to reach out to me with any questions that you may have. I will leave my contact information at the bottom of the video! Enjoy!! If you have any questions on creating a sales funnel, please do not hesitate to contact me! P.S. – Oh, and one more thing! If you would like to have high converting sales funnels already created for you so that you can get massive leads and grow your business, make sure to fill in your information below and check out a tool that will change your business forever!